The kids in this house love to read! We live pretty close to the library and make a point of checking out a lot of books! So I think it is only fitting that I share some of our current favorite picture books for our first installment of What We're Reading Wednesday! I've also thrown in the latest book that I have read, which I encourage everyone to read! 1. The Lady with the Alligator Purse . The kids love the silliness of this book! It has a song to go with it, but they prefer that we just speak the rhymes. It's pretty short, which is great because even my two-year-old has it memorized! 2. We Planted a Tree . 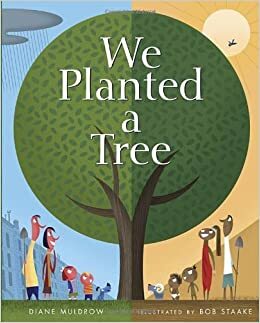 This story has great illustrations and is a lovely story about how planting a tree makes the world better. 3. Quick As a Cricket. The boys requested this book so often from the library that Grandma finally bought it for them! It's a fun book that compares a child to various animals and celebrates all the parts of "being me". 4. 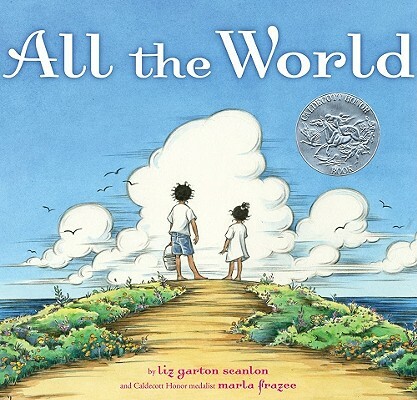 All the World . This book is a large, hardback book with beautiful pictures. It is a poetic assortment of words and simple phrases that tell how the world is everything and everyone in it. 5. To the End of June: The Intimate Life of American Foster Care . This book was eye opening for me. I have always known that the foster case system in the U.S. is lacking, but this book helped to personalize that. In addition to factual information it is filled with personal stories of children struggling through the system. I'm hoping to share a more detailed review of the book within the next week. I encourage everyone to read this and prayerfully consider opening your home to children in need. 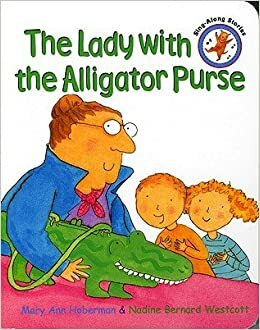 The librarians may think it weird to see a pregnant lady with no (other) kids checking out picture books, but I think I should find The Lady with the Alligator Purse. Actually, maybe I should GET an alligator purse. my kids would love it if I got an alligator purse! maybe that is what I should ask for for Christmas!